Noel Lothian Hall at Adelaide Botanic Garden, Sat Feb 17. Inserting the life of an ordinary bloke (Dave) into a Greek myth is an interesting notion and it kind of works. As the show suggests it’s better than just another boring night of beers with the mates down at the pub. But there are a few problems. In this meeting of worlds Dave is cast as Orpheus, the mythical musician and poet who could charm stone with the beauty of his music and that’s a big reputation to live up to. And like Dave, Dave’s alter ego narrator/performance poet doesn’t bother dressing up for the occasion either. 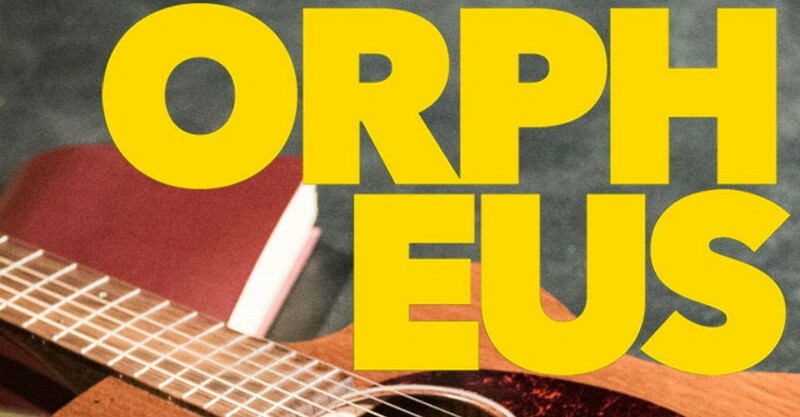 This is a brave production – stripped right back to the basics to tell a story via an epic poem about a guy with a sweet voice and a guitar who falls for a girl from Hades. Curiously, a choice was made to read the poem rather than recite from it memory and try as I might to ignore it I just found it annoying. Why not just learn it? There were some nice moments. The small audience got into the spirit of the singalong parts, and there was something endearing about its naked production. Adding layers of complexity comes at a cost of course, but this show would benefit from more direction. Basic costuming, more thoughtful positioning and creative use of the available space, and use of lighting would give the Flanagan Collective a greater chance of making the central idea more convincing, and lend greater credence to a show that felt a little under done. 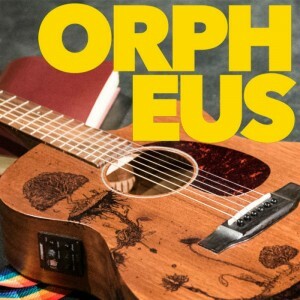 Orpheus continues at Noel Lothian Hall at Adelaide Botanic Garden from 7.45pm until Sun 4 Mar.